Find the official wiki here with all necesairy info. 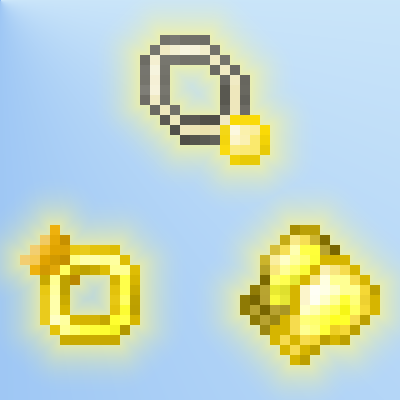 Find a new Inventory in this mod to add a bunch of nice jewelry to your body, and let its magic affect your powers ! Extra exp, attack boosts, debuf rings and many more. ClassArmors add sets of armors, included with shields and weapons that allow for nice special attacks like the AoE Hammer Smash (Berserker) or Torment of Fire (Paladin), or have fun with your very own, unique wand, and throw spells at people by typing them in the chat bar ! All require the SubLib to run. how does this mod interact with baubles?? By that I mean do you keep the new inventory and all the slots for baubles aswell or does it completely remove the bauble slots so that in reality you cant just have both and must pick between baubles or this mod type of inventory? You can use both the RPG Inventory as well was the Baubles Inventory. None of the slots are shared between the two such as the Ring Slots. Are you still helping in 1.7.10 ? # I really need help on this problem my country they only play up to 1.7.10 version and i really would like to have your mod install on my server. What i think is the best solution is adding mana for every “magic” class. Classes that are better require more mana to use so you can use less attacks with these classes. Is it posseble to use the baubles inventory instead of the new one? How does the Mining Speed Buff work? Is it like a speed increase much like with haste or is there something else with it? I'm wearing the Emerald Buff Ring on the Right/Cloak with Emerald Mining Side Lining III or both of them and I don't notice any difference in Mining Speed by the looks of it. Turns out a mod is conflicting the Mining Speed Buff. Time to go hunting. Already done. I made a post about it on the issue tracker for both this mod and the conflicting mod. It got solved. thanks for participating in the mod community ! both models have always been the same. I do plan on adding Archmage back in, i'm just still thinking of powers. When you use the rpg inventory you are supposed to click R. But It will not work for me. What can I Do? What are all the possible effects found on the capes found in loot chests and what do the effects do? How are they crafted? Ultra Cloaks can only be found in chests, any dungeon chest. they have a rare chance of spawning. the effects are the same as the jewelry effects, but concentrated down on one cape. they are randomly appended and a Ultra Cloak can have up to three different enchantments. they stack with the jewelry effects , but the cap remains the same. Whenever I die on singleplayer the game crashes. The only two mods I'm using are rpginventory and subcommon lib. Mine version 1.12.2.